November 28, 2018 — Katie Coleman, a partner in Hughes Hubbard's Corporate Reorganization & Bankruptcy practice, has been selected as one of Law360’s 2018 MVPs, an honor that recognizes elite attorneys who have distinguished themselves over the past year with hard-earned successes in high-stakes litigation, complex global matters and record-breaking deals. The profile noted that, in late 2017, Coleman helped CST Industries complete its Chapter 11 process in Delaware, facilitating a highly contested sale of the company to Solace Capital Partners, a private equity firm based in Los Angeles, just six months after CST filed for Chapter 11. 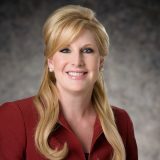 In another Chapter 11 case, Coleman served as lead debtors’ counsel for Patriot National Inc., a Florida insurance services company, and got the court to agree in a decision of first impression to stay nondebtor actions during bankruptcy and to mediate those actions, ending up with an approved plan of reorganization only 10 weeks after the case was filed. “Finding a way to get that done, again, without a lot of unnecessary expenses and noise, that was very fulfilling,” she said.